As gin’s popularity has taken off, so have the cooking recipes featuring our favourite spirit. And perhaps surprisingly, one of the most common uses for gin in cooking is with fish. Google ‘gin and salmon’, for instance, and multitudes of recipes appear. So why does gin work with fish? ‘I think it’s to do with the smooth flavours in gin. Like the salmon, it’s delicate,’ says Ronnie Murray, who now runs Peckham Manor supper club and is the former group head chef for Mark Hix. I also think that the citrus backbone that you find in a lot of gins thanks to the different citrus peels and coriander seeds that are used as botanicals act as a perfect foil to fish. 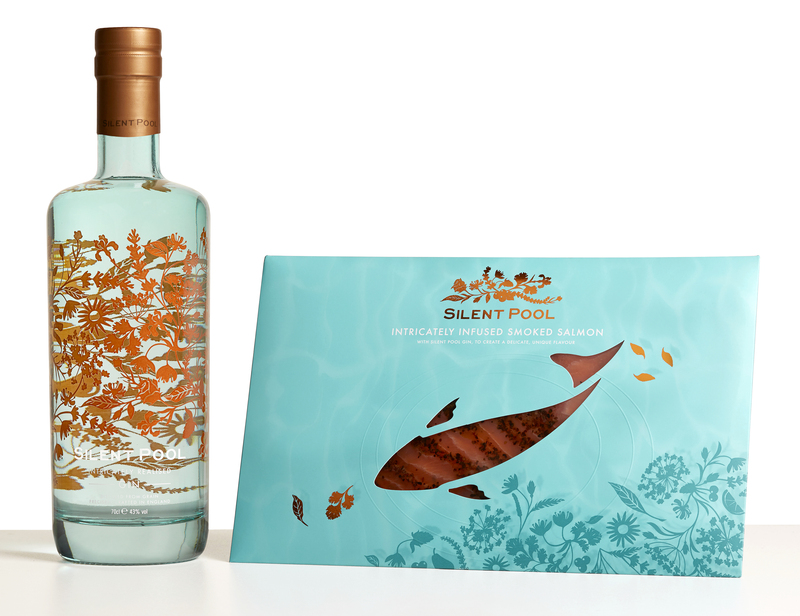 While exploring the gin and fish pairing, I contacted the team at Silent Pool Distillery to ask about their gin-infused smoked salmon, which is available exclusively at the distillery, and surprisingly received a recipe from Ronnie in reply. It has a distinctly Asian feel with its ginger, chilli and coriander, combined with Silent Pool gin, rapeseed oil and apple cider vinegar. Silent Pool has a fabulous herbal note thanks to the kaffir lime leaves used as a botanical, which also conveniently marries well with the Asian notes. As you marinade the salmon it turns opaque, much as fish does in ceviche, and takes on a slightly fleshier texture. The fennel slice decoration adds a welcome crunch too. But why limit the Silent Pool and chilli dressing to marinating salmon? Ronnie also suggests using it as a dressing for oysters. A platter of gin-dressed oysters accompanied by a King Kombu, the Martini twist that Silent Pool brand ambassador Stuart Bale has created especially for the recipe, sounds like a very decadent way to spend an evening indeed. Arrange the salmon flat on a platter. Give the dressing a good mix and spoon all over the salmon, leave to marinate for 15-20 minutes. Dress with the fennel or leaf and serve. Mix all the ingredients together, and leave to macerate for an hour or two before required. Method: Stir all ingredients together in a mixing glass over ice. Strain into the chilled cocktail glass and garnish. Put one strip of kombu seaweed in 350ml of Silent Pool Gin for 20mins and then strain. For those unsure of having a boozy tang accompany their fish, iconic smoked salmon producer H Forman & Son make a Gin and Tonic smoked salmon that doesn’t actually contain any gin. and lemon peel – two of the botanicals commonly found in gin – plus white wine, made a paste and cured their top-quality smoked salmon in it for 48 hours. The resulting cured Scottish smoked salmon is silky and comforting, with a delicate hint of smoke and a pleasingly punchy lift from the juniper and bright lemon zest. Enjoy it on some buttered rye bread for a satisfyingly decadent snack.